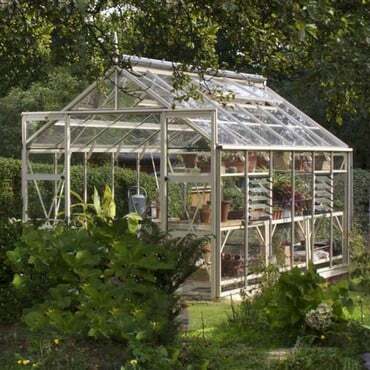 For many gardeners, a greenhouse is not just somewhere to grow your plants it is also a design statement. 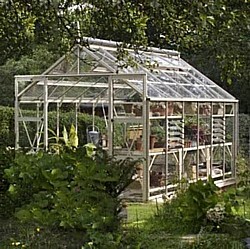 So if appearance is one of your main considerations then a Greenhouse would be top of your list. 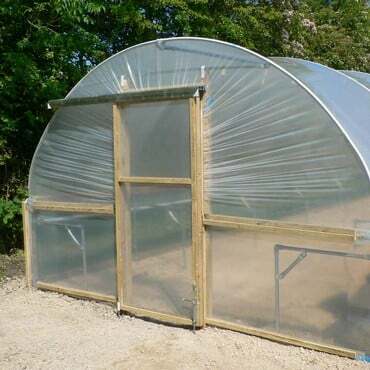 However, where simple practical covered growing space is required, you will be getting much more growing space for your money if you choose a polytunnel. 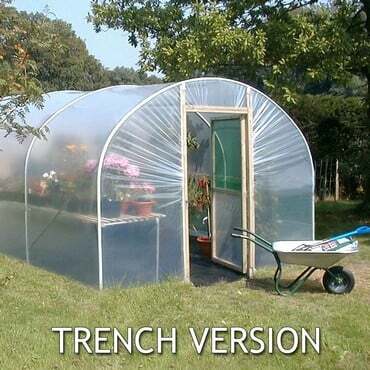 The principle of a greenhouse or polytunnel is really quite simple. Solar energy comes through the glass or plastic easily and is absorbed by the contents within. They, in turn, radiate this energy back out as infra-red energy, which doesn’t pass through the glass or plastic and is trapped, thereby creating the warming effect. There’s nothing better than fresh fruit and vegetables picked straight from your own garden or allotment and onto your plate within hours and the health benefits are undeniable, as is the personal satisfaction of knowing it is all home-grown. With a polytunnel or greenhouse you will certainly be able to grow more of your own fresh vegetables whatever the British weather throws at us. 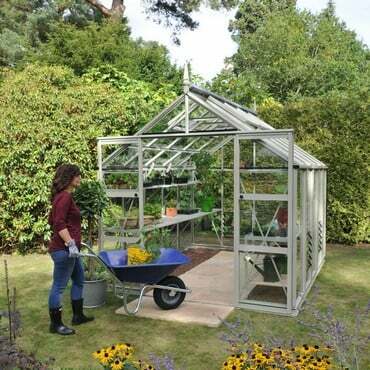 If a Greenhouse is your preferred choice then the exclusive Harrod Superior Greenhouse has a design that is elegant, strong and full of features. Using high quality 4mm toughened glass, integral roof blinds and vast amounts of ventilation to provide the best growing environment of any greenhouse available today. Harrod Polytunnels use a high quality galvanised steel framework and a polytunnel film that is guaranteed for 5 years and has been designed specifically for the UK where low light levels are common. This film provides 90% light transmission, allowing through more of the light spectrum used by plants and scatters the light entering the polytunnel. Preparing a base for a glass greenhouse can take more time, as they require a completely flat base. 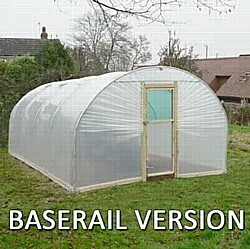 Polytunnels do not have the same requirements, so preparation time before installation is shorter. A Polytunnel is certainly a cost effective alternative or addition to a greenhouse and whichever option you choose you will wonder how you ever grew without it before. You will be able to extend the growing season for your outdoor crops and to grow crops that are just too tender to survive outside at all.